‘My name is Sherlock Holmes. It is my business to know what other people don’t know’. 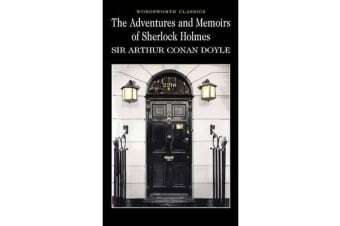 The Adventures of Sherlock Holmes first introduced Arthur Conan Doyle’s brilliant detective to the readers of The Strand Magazine. The runaway success of this series prompted a second set of stories, The Memoirs. In these twenty three tales, collected here in one volume, you have some of the best detective yarns ever penned. In his consulting room at 221B Baker Street, the master sleuth receives a stream of clients all presenting him with baffling and bizarre mysteries to unravel. There is, for example, the man who is frightened for his life because of the arrival of an envelope containing five orange pips; there is the terrified woman who is aware that her life is in danger and cannot explain the strange whistling sounds she hears in the night; and there is the riddle of the missing butler and the theft of an ancient treasure. In the last story, there is the climatic battle between Holmes and his arch enemy, ‘the Napoleon of Crime’ Professor Moriarty. 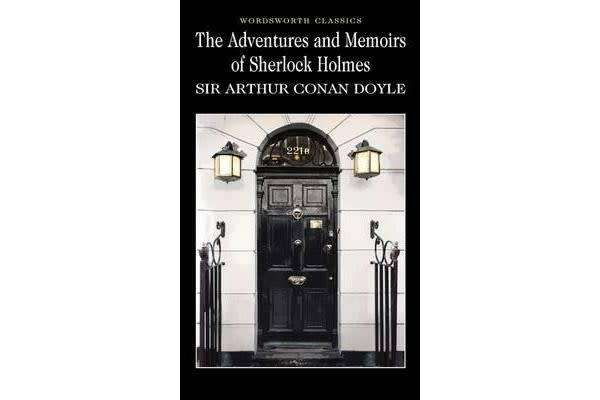 Holmes, with trusty Watson by his side, is equal to these and the other challenges in this splendid collection.